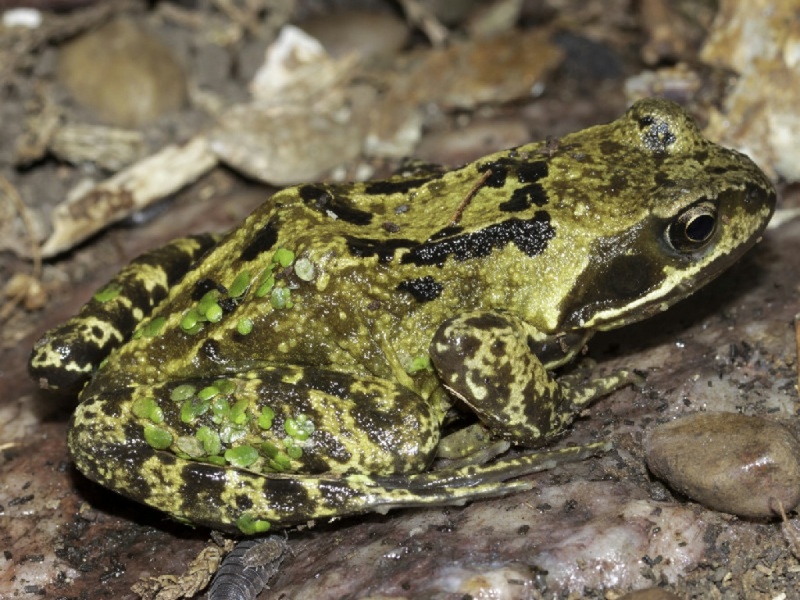 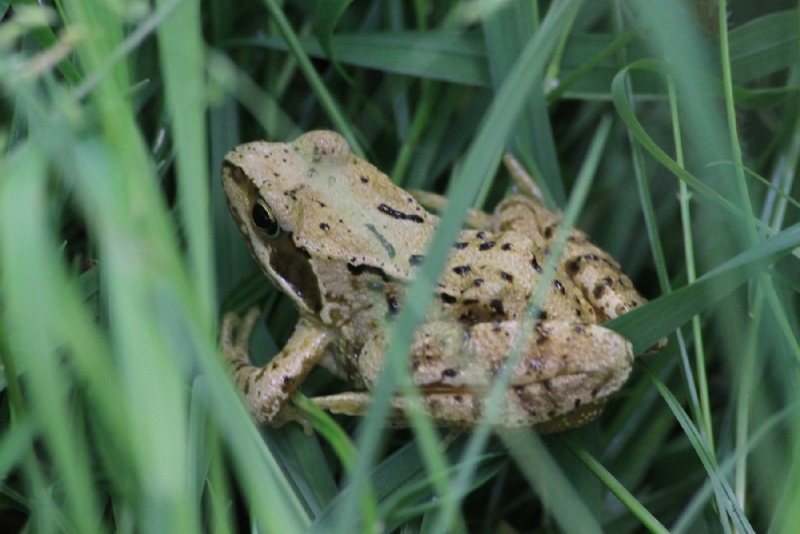 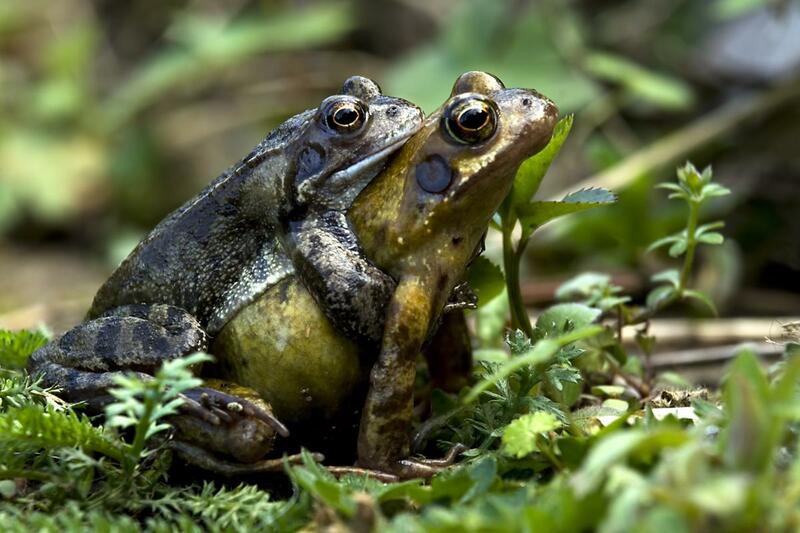 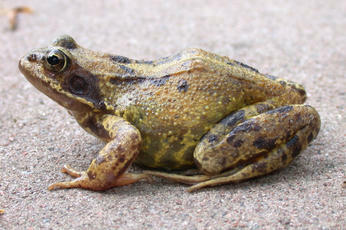 Up to 9 cm in length, Common Frogs are generally brown but can be grey, yellow or rufous and they can lighten or darken their skin to match the conditions. 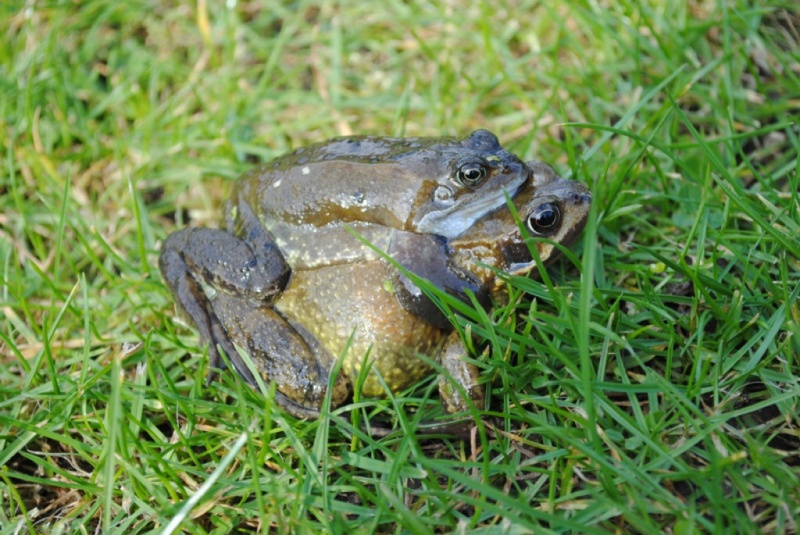 Their backs are normally covered in darker spots and blotches and they have a thick but tapering dark patch behind the eye. 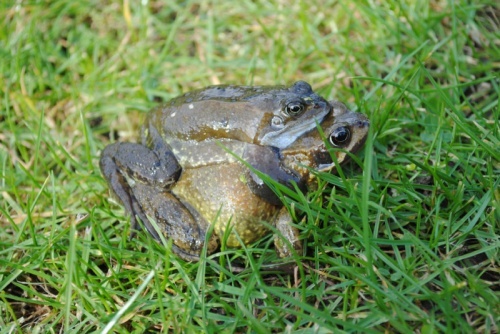 Ponds during the breeding season (March - April) then many adults live away from water wherever they can find damp cover. 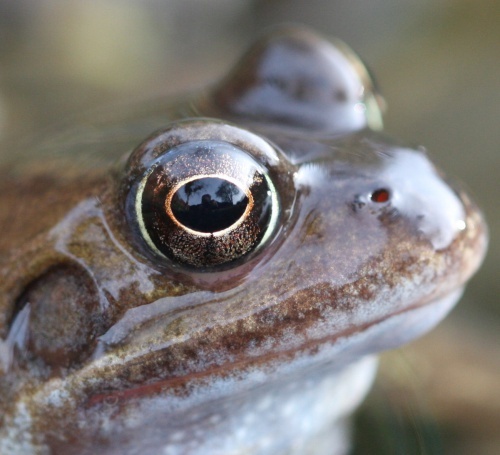 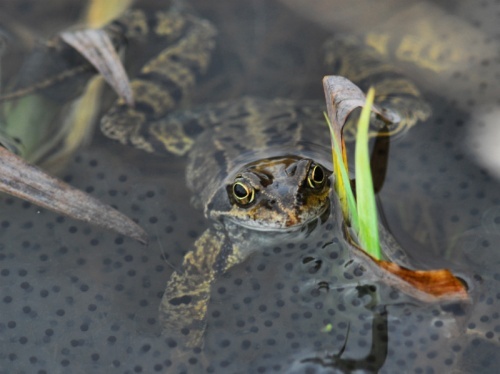 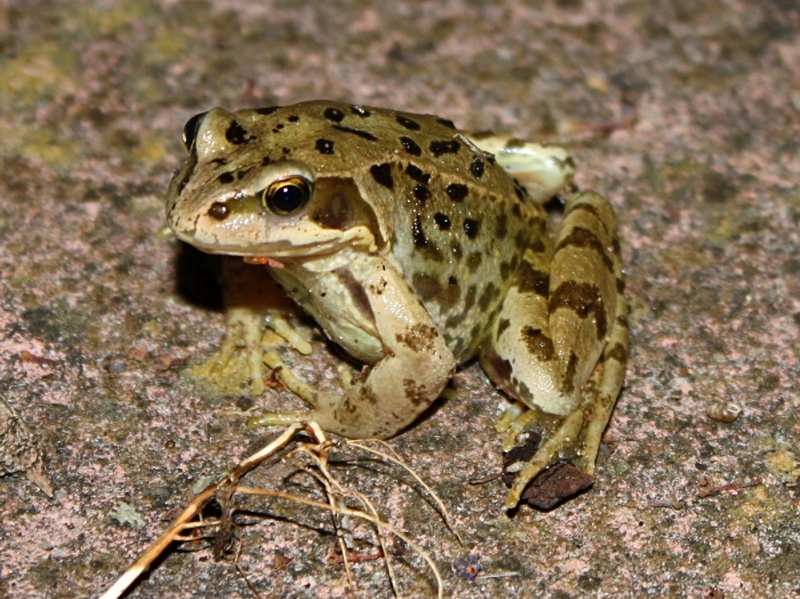 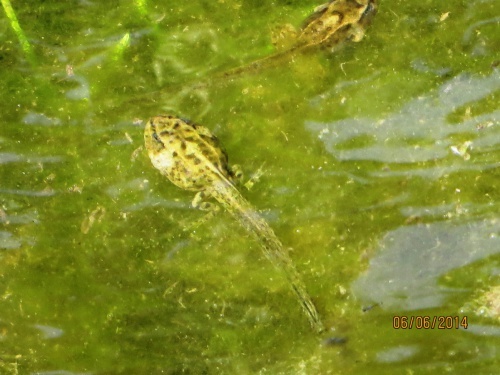 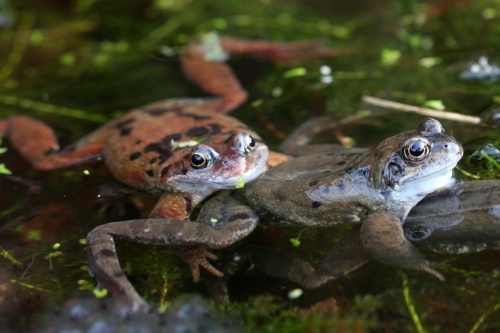 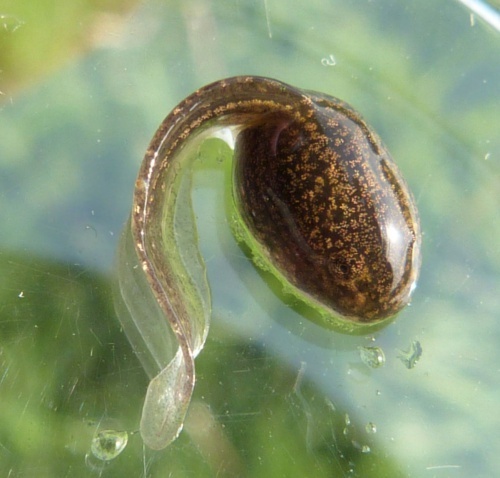 The most common of the UK's amphibians, helped to a large degree by the growing number of garden ponds. It has a remarkable ability to just 'arrive' at new garden ponds and isn't fussy about size and depth. 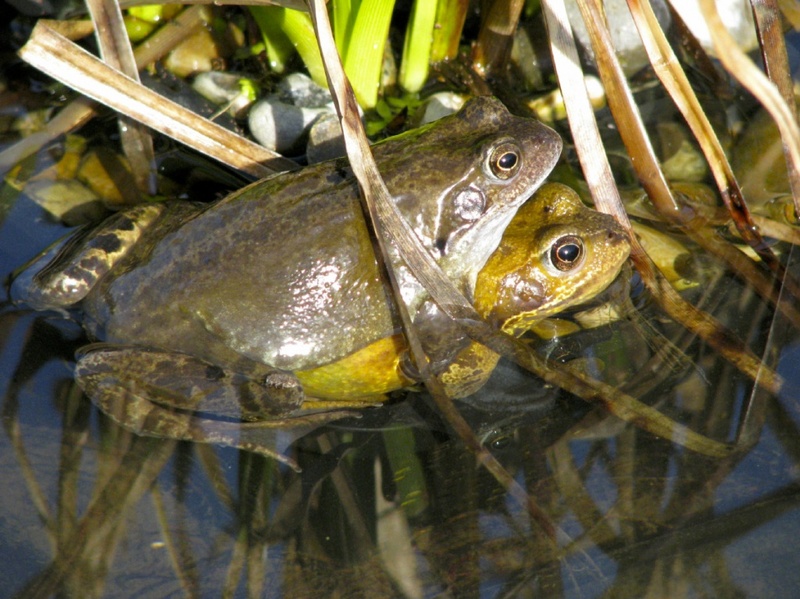 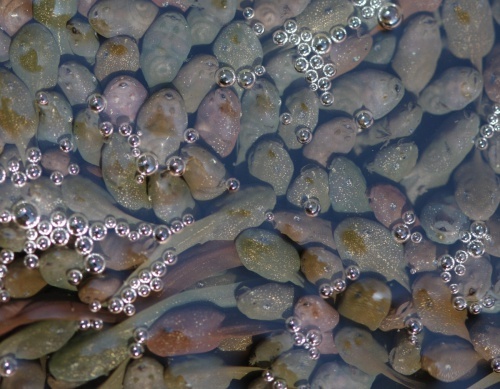 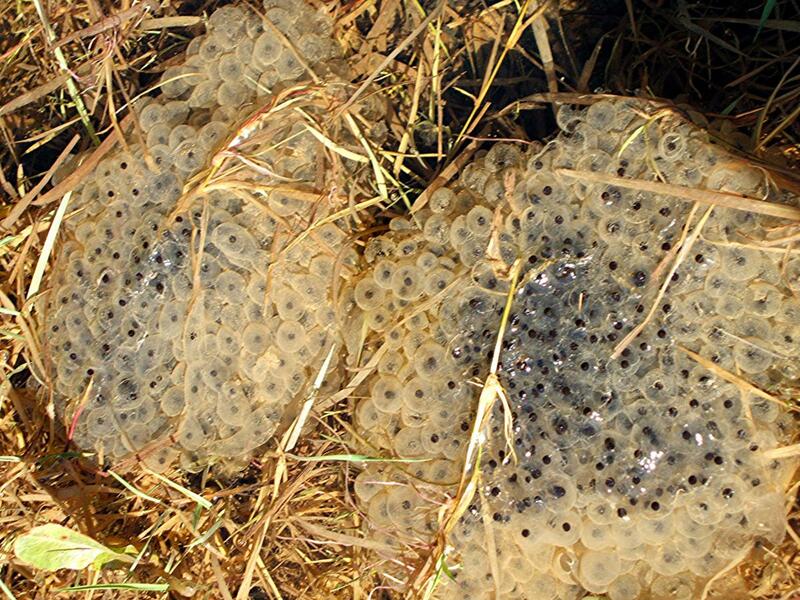 The date they arrive in a pond varies considerably from year to year but all the frogs spawn within a day or two of each other. 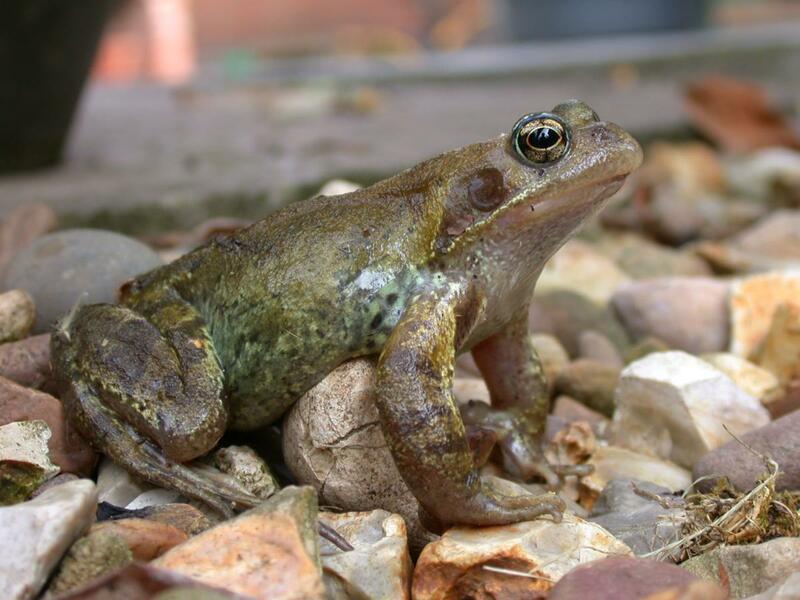 They don't feed during the breeding season but otherwise eat any invertebrate they can overpower, particularly flies, slugs and worms. 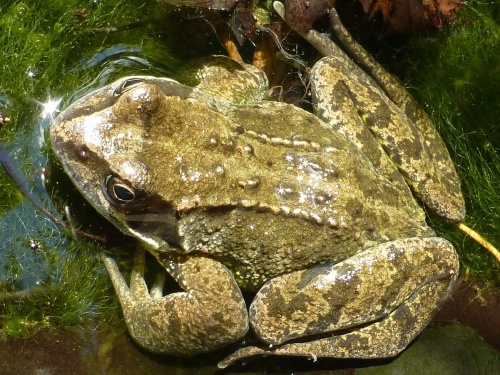 The adults hibernate in muddy burrows, deep in leaf litter or in the mud at the bottom of ponds. They can breathe through their skin so survive without having to surface.